Sometimes I get big ideas and then wait awhile to actually try them out. 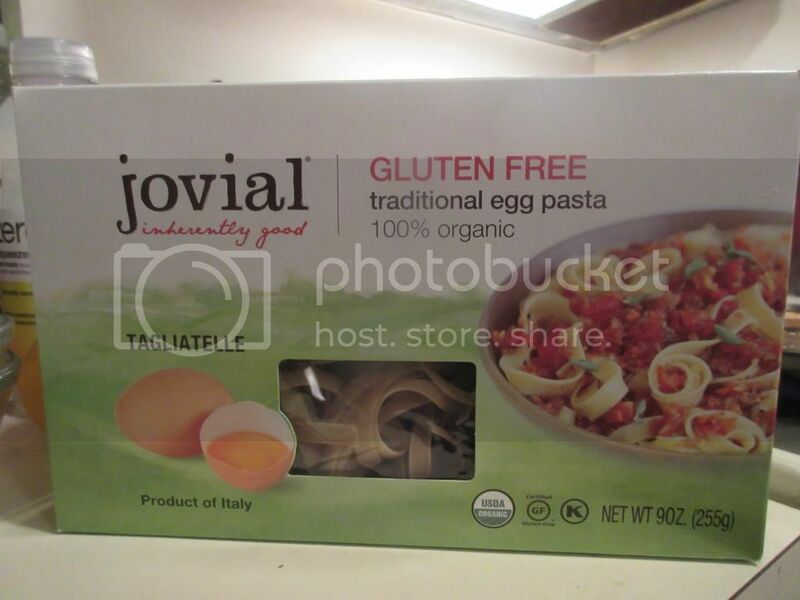 When I first spotted the words “traditional egg pasta” on a box of gluten-free tagliatelle from Jovial…I thought immediately of soup. You don’t immediately think soup? 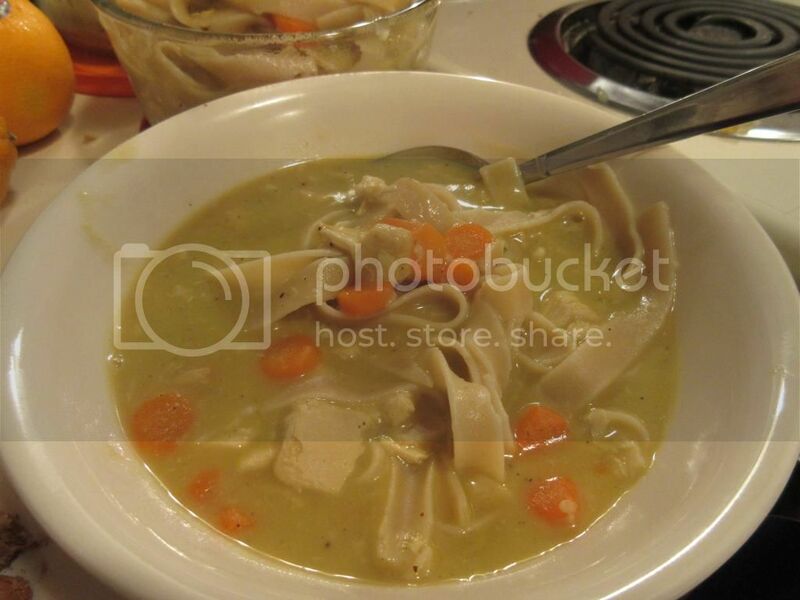 The reason I thought of soup was, as I was growing up, my mom would make a homemade Chicken Noodle Soup, which required an egg noodle in the recipe. So…this immediately sparked that in my memory. So, I told myself that I could easily make my mom’s recipe…but make it vegetarian. After all, I had one last package of Beyond Meat “Chicken” in the freezer, and for some reason, I think I was mentally saving it to make soup. So…the perfect opportunity presented itself for sure. The only big change was I didn’t make the stock myself. I couldn’t. I wasn’t using real chicken. So, instead…I picked up a couple of the Imagine Vegetarian No Chicken Broth and adjusted the recipe from there. It worked out brilliantly in the end. But…that’s not what I’m here to talk about. I am here to discuss the use of the Jovial Gluten Free Brown Rice Tagliatelle. The pasta is actually the last thing that gets added to the soup. Not only does this help to thicken the broth a little bit, but it also brings a heartiness to the dish. I love a good, comforting bowl of soup. And as we were in the low teens temperature-wise last week…this was the ideal food to have on hand. And my roomie and I ate it…three days in a row. Jovial Gluten Free Brown Rice Tagliatelle was the ideal and perfect noodle for this soup. It is a thin, but longer noodle. Sort of like fettuccine, but different. Did you follow that? HA! It cooked perfectly in the broth with my not-chicken “meat” and my carrots. These noodles absorbed the flavors of the broth and the items cooking in it. And, for the first time, the fake chicken didn’t taste…fake. That was more the broth than the noodle…but that’s an observation I thought I should share. Anyway…Jovial actually managed to make a brown rice noodle that didn’t turn gummy and didn’t fall apart when it cooked. I loved how these noodles held their shape and were so prominent throughout the soup. What’s the point of having a “chicken” noodle soup if the noodles don’t hold up? They really did bring the dish up to where it needed to be. And, even on a reheat, they were perfect. Three days in a row…noodle perfection. I was beyond impressed. I would purchase these again in a heartbeat to use in other dishes, including pasta dishes with a simple sauce. They went above and beyond my expectations. Let’s discuss the ingredients that go into Jovial’s Gluten Free Brown Rice Pasta, shall we? These shelf-stable noodles are made from organic brown rice flour and organic eggs. Yes…they really are made from only two ingredients. In addition to being gluten-free, these noodles are also free of casein, tree nuts and peanuts. These are also certified kosher. As for nutritional information, as far as pasta goes, this is right in line with even the regular stuff. 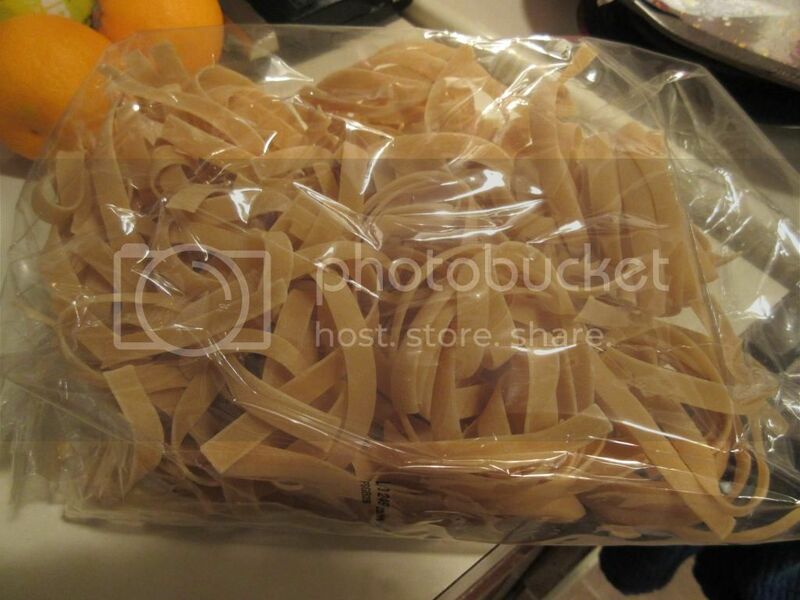 A serving of Jovial Gluten Free Brown Rice Tagliatelle is 2 ounces of pasta. There are 4 servings in the package. A serving will deliver 210 calories and 3 grams of fat. One serving will also provide you with 40 mg cholesterol, 15 mg sodium, and no sugar at all! You will also be taking in 2 grams of fiber and 5 grams of protein. So, yes…these will make you feel full. Trust me. I made vegan grilled cheese sandwiches to eat with them and I was stuffed at the end of my bowl of soup and sandwich. Another win for Jovial in the gluten-free pasta. Seriously continuing to fall in love with this brand when it comes to my pastas. Great noodles that are easy to cook and use…and don’t fall apart like some other brown rice pastas. That is definitely a win! This entry was posted in Clean Eating, Entree, Food, Gluten-Free, Italian, Pasta, Products, Review, Sandwich, Soup, Vegan, Vegetables, Vegetarian by The Celiathlete. Bookmark the permalink.